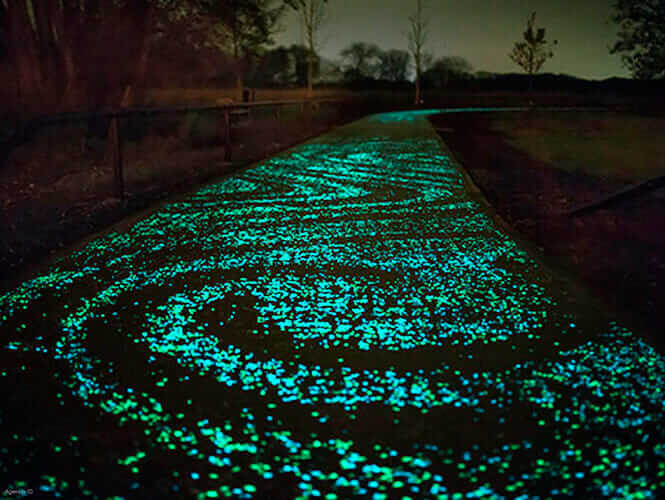 Cement that can generate light? Concrete for building on Mars? Translucent wood? 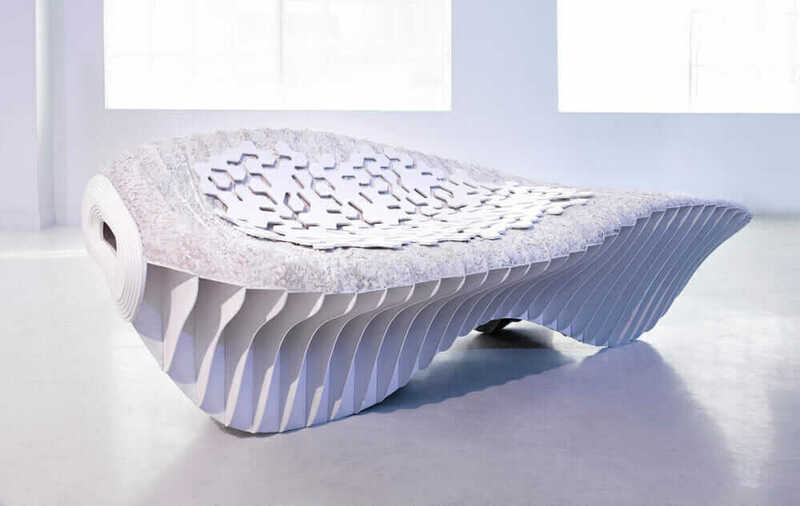 Biodegradable furniture? Pollution-absorbing bricks? At first, it sounds crazy, but these are only some of the research projects taking place around the world in order to take the construction industry to the next level. 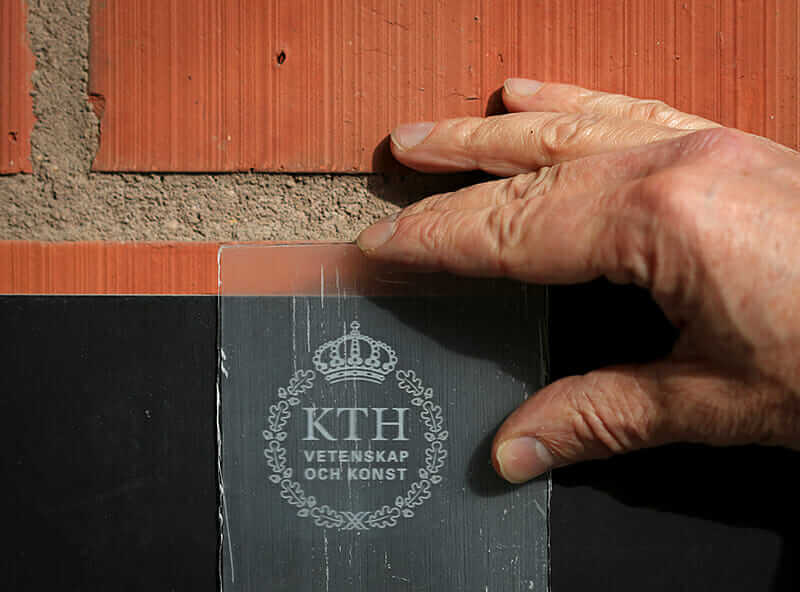 Translucent wood, as new material developed by KTH: A group of researchers from KTH Royal Institute of Technology in Stockholm has recently developed Optically Transparent Wood (TW), a new material that could greatly impact the way we create architectural projects. According to an article published in Biomacromolecules, the journal from the American Chemical Society, it is a process that chemically removes lignin from wood, causing it to become very white. The resulting porous substrate is impregnated with a transparent polymer, evening out both of their optical properties. Walls that could replace air conditioning: The team at the Institute for Advanced Architecture of Catalonia (IAAC), led by Areti Markopoulou, has created a new material called Hydroceramics. 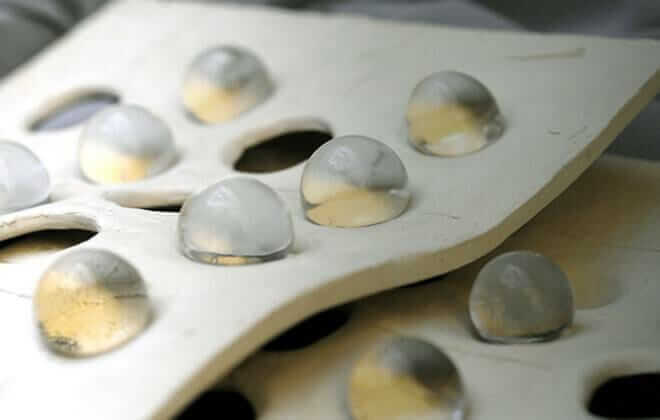 It is made up of hydrogel bubbles that are able to retain up to 400 times their volume in water. Thanks to this property, the spheres absorb liquid, and on hot days, their contents evaporate, reducing a space’s temperature. Cigarette butts used to make more effective bricks: One man’s trash is another man’s building material. Researchers at the Royal Melbourne Institute of Technology (commonly known as RMIT University) have developed a technique for making bricks using cigarette butts. The team, led by Dr. Abbas Mohajerani, found that making clay bricks with 1 percent of their volume being cigarette butts could completely offset the annual worldwide production of cigarettes and at the same time make a lighter and more efficient brick. 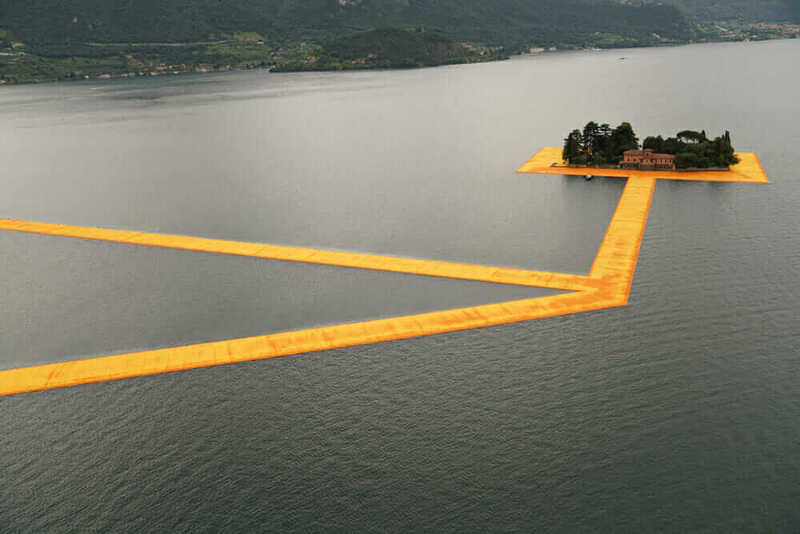 How Christo and Jeanne-Claude’s floating piers were constructed: The piece consists of a 3-kilometer walkway wrapped in 100,000 square meters of yellow cloth and a floating dock system consisting of 220,000 cubes of high-density polyethylene. 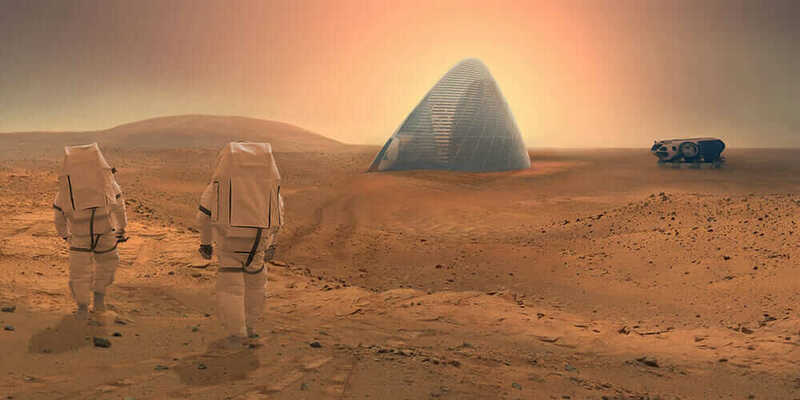 Clouds AO and SEArch won NASA’s Mars Habitat Competition with a 3D-printed house made of ice; would Martian concrete have been a simpler option? Courtesy Clouds AO and SEArch. Will this be the concrete used to build on Mars? Assuming that when we finally colonize Mars, water will be one of our most valuable resources. The Northwestern University team sought an alternative to the usual concrete mix required to make concrete. They opted for a technology that has been in development since the early 1970s: sulfur-based concrete. This cement generates its own light: As a response to new construction models, Dr. José Carlos Rubio Ávalos of the UMSNH of Morelia has developed a cement with the capacity to absorb and irradiate light energy, in order to provide concrete with more functionality and versatility from an energy-efficiency standpoint. The world’s lightest anti-seismic reinforcement: The Japanese company Komatsu Seiren Fabric Laboratory has created a new thermoplastic carbon fiber called CABKOMA Strand Rod. The carbon fiber is covered with synthetic and inorganic fibers, then coated with a thermoplastic resin. 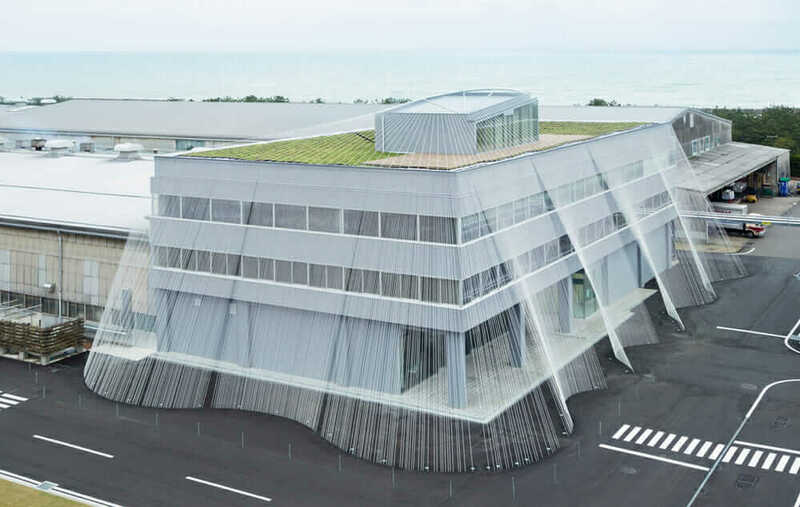 The new fiber, created by C Kengo Kuma, has been tested on the exterior of the company’s headquarters in Japan. Terreform ONE biodegradable furniture: What if your chair was made out of compost? This is the question posed by this series of experiments with biologically produced benches that are grown rather than manufactured. Together, Terreform ONE and Genspace have developed two bioplastic chairs through similar processes: The first one, a chaise lounge, is formed from a series of white ribs in a parametric shape, with a cushioned top. The second, a children’s chair, consists of interlocking segments that can be used to twist the chair into different shapes. Pollution-absorbing bricks: Breathe Brick is designed to be part of a building’s normal ventilation system, with a double-layer brick facade with specialized bricks on the outside, complemented by an inner layer that provides standard insulation. 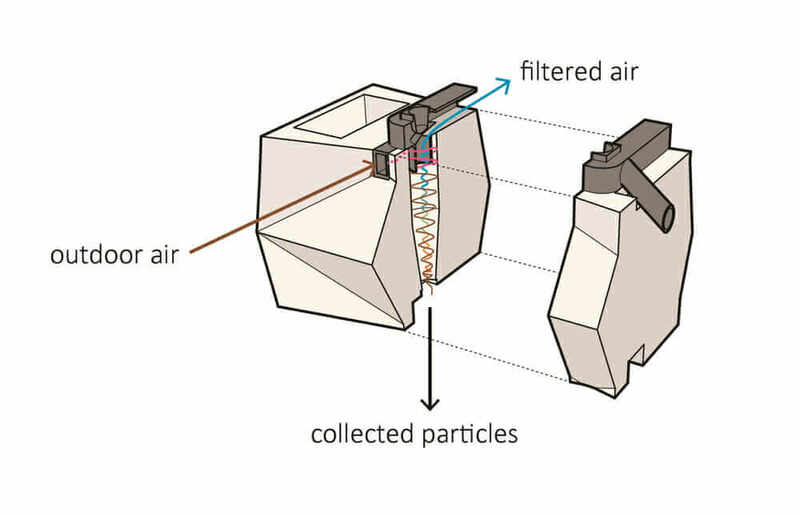 The concept behind Breathe Brick is Cyclone Filtration, an idea taken from modern vacuum cleaners, which separates heavy contaminating particles from the air and drops them into a removable hopper at the base of the wall. 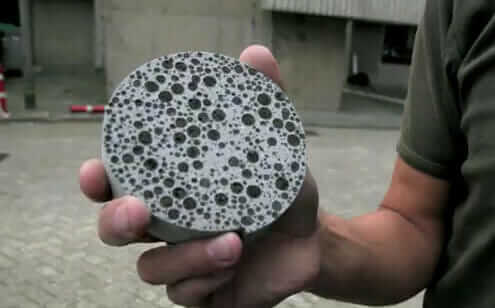 TU Delft developed a bioconcrete prototype—concrete that repairs itself: The formula developed by the TU Delft goes beyond repairing merely aesthetic damages, because if cracks in concrete grow, they allow water to pass through and corrode the reinforced steel. This not only compromises the mechanical qualities of the structure, but also forces engineers to use larger amounts of reinforced steel in their calculations, increasing final production costs. Article by Begoña Uribe. This article originally appeared on ArchDaily.